For those receiving a life-changing diagnosis of cancer, the lottery of birth is a decisive factor in survival. 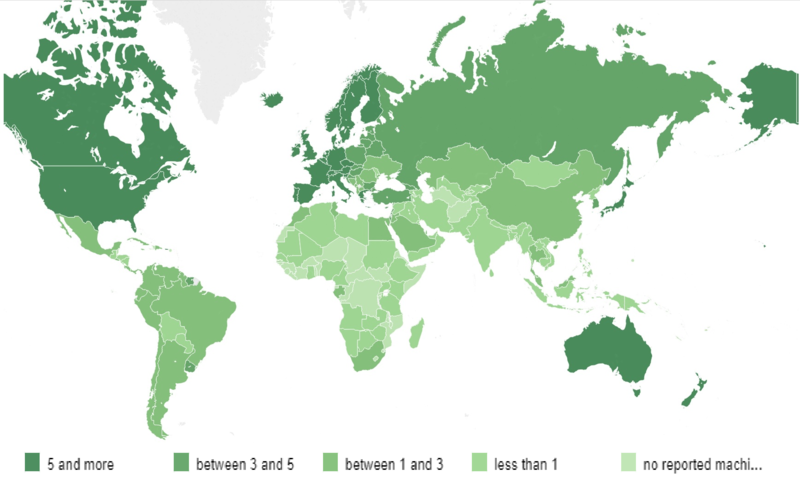 Breast cancer survival rates in the West, for example, are over double that in low-income countries. Fixing this inequality, however, demands multiple interventions – from preventative public health measures to improved access to treatment. Other issues include a shortage of medical professionals and inadequate education and training. Technology is one important area where researchers can contribute. Linear accelerators, or linacs, are the workhorses of radiotherapy and a case in point. While it’s estimated that around 50% of people with cancer would benefit from radiotherapy, only 10% of people in low income countries have access – dubbed the ‘silent crisis’ by the International Atomic Energy Agency (IAEA). That need is only set to get bigger. An increase to 25 million annual cases by 2035, a 67% jump on 2015, has been predicted. Around two thirds will be in low-middle income countries (LMIC). Linacs, however, are complex creatures costing several million dollars. They demand regular checks and services to deliver radiation safely and accurately. Consequently, stories of linacs sitting idle following a breakdown through a lack of money or support are not unusual in LMIC. Tackling this, researchers are working towards more robust and affordable linacs. One coordinated global effort is bringing together experts, including from CERN, the IAEA and eight LMIC. In its early days, the collaboration is developing specifications for a complete radiotherapy treatment system and a conceptual design. Lack of power is a critical problem. Linacs devour electricity and need a stable supply, something not always available in LMIC. One potential solution can be found near Lindau at the Lake Constance Radiation Oncology Centre in Singen. The clinic’s linacs are the only ones in the world to be powered directly by solar panels – entirely so in summer. 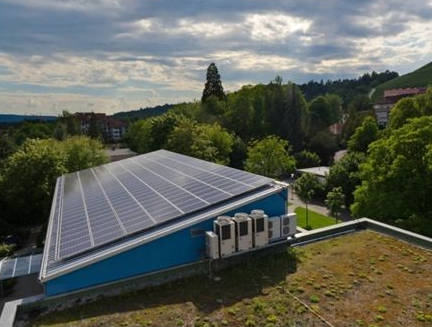 Chief physicist Holger Wirtz plans to build a 100% off-the-grid clinic in Germany, using existing battery technology, as a demonstration site for clinics in LMIC. Other projects are working to simplify linac hardware. 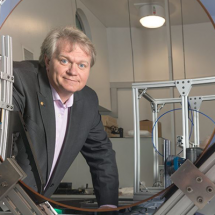 Applying a concept invented at UCLA, US firm RadiaBeam is developing an affordable linac that uses less power, is more robust, but should still deliver high-quality treatment. “[Research shows] the developing world doesn’t want a second-class product,” says CEO Salime Boucher. One major innovation is the linac’s collimator – the beam-shaping aperture that shields healthy tissue during treatment. Conventional collimators are complex, typically comprising more than 100 individually driven finger-like metal leaves and are responsible for a significant share of linac-downtime. The new design uses just eight leaves controlled by larger, sturdier motors to form a single, moving aperture that paints the tumour with radiation. In another project, a simpler gantry, the structure from which radiation is fired, is being developed at the University of Sydney, Australia. While conventional gantries rotate around the patient to zap the tumour from all directions, the Nano-X gantry is fixed and fires into the floor. Instead, the smaller, lighter patient is rotated – a much easier engineering problem. Precision imaging and processing algorithms make the switch possible. As the patient rotates, X-rays detect the tumour’s new position and deformation caused by the rotation. The data is then used to update the beam settings, ensuring accurate treatment. The design is compact and reduces the shielding needed in the walls and ceiling of the treatment room. An associated start-up, also in Sydney, is working on a similar solution. The smaller Nano-X gantry (L) compared to a conventional linac and associated room shielding (R). This was originally published in Advances in Radiation Oncology, Vol 1, Feain et al, Functional imaging equivalence and proof of concept for image-guided adaptive radiotherapy with fixed gantry and rotating couch, 365–372, (c) the Authors, 2016. Imaging, such as ultrasound, CT and MRI, has several jobs in cancer care, from screening populations to monitoring treatment response. Here, computational techniques that reconstruct images and automate their analysis could ease workloads in hospitals across the globe. Harshita Sharma of the University of Oxford, a young scientist who attended the 68th Lindau Nobel Laureate Meeting, develops such methods in her research. They include machine learning techniques, a hot topic in biomedical imaging. “We want to develop these applications for medical professionals so that it saves them time and effort,” says Sharma. The benefits could be particularly great in LMIC, where staff shortages and over-loaded clinicians are more common, adds Sharma. Computational analyses can also save money. 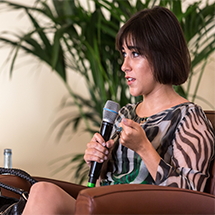 Focusing on digital pathology, Sharma investigated during her PhD whether a more affordable, efficient staining technique for gastric carcinoma, H&E, could provide better analyses using machine learning. Currently, it is not the preferred choice of pathologists, as certain types of cancers are not easy to differentiate by eye using the technique. Initial accuracies of 75-80% are promising. Machine learning is set to have a large global impact on radiology, says Ge Wang of Rensselaer Polytechnic Institute, New York. In essence, it shifts the complexity of imaging from the hardware to the software. “By using artificial intelligence for tomographic reconstruction, cheaper scanners can make better images,” says Wang. Wang is developing a compact, mobile CT scanner that uses simpler hardware to acquire less data from the patient than a conventional scanner, compensated by sophisticated image reconstruction. In an audacious vision, AVATAR, he sees the scanner on an autonomous self-driving truck taking imaging to remote communities. Altogether, there is great potential for effective, more accessible technologies. However, innovation must be part of a bigger movement if it is to make a difference. Funding and governmental will to address the silent crisis, for example, are critical. According to a recent WHO report, long-term efforts to reduce premature deaths by non-communicable diseases, including cancer, are not on track. Can the boat be turned around? Watch this space. 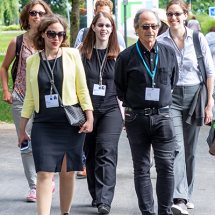 Read about some of the broader challenges of introducing medical innovations into LMIC as discussed at the 68th Lindau Nobel Laureate Meeting here.